Making the right decision about life after retirement requires careful consideration and thoughtful planning. The thought of moving out of a home after so many years may seem daunting, while the idea of a large estate with a lot of upkeep can sound unmanageable. Many seniors in Placerville are making the decision to make life easier by downsizing and transitioning into a senior living community; a residential neighborhood that offers activities, health support opportunities, maintenance assistance, dining, housekeeping, and more. These communities can offer recreation and companionship, as well as, multi-level service approaches, so you can stay within a familiar setting if the time should ever arise that you require more assistance. Silverado Village Placerville is a new home community that focuses on an easy senior living philosophy, so seniors can continue to enjoy their full and exciting lives. It features 113 newly constructed homes, which come in three different floor plans, and is nestled within a relaxing environment. All homes are single-story and range in size from 1,207 to 1,590 square feet. All yard work and exterior maintenance is taken care of by a professional grounds crew, and assistance is even offered for minor indoor household issues. The Village Center contains a multi-purpose room for the community. It can be used for seminars, arts and crafts, puzzles, card games, or even just enjoying some company. The Village Center also contains a fully-equipped fitness center, a relaxing spa, and an indoor, heated swimming pool, so residents have plenty of ways to stay healthy and maintain their wellness. The Eskaton Lodge is also available to residents, where they can enjoy a delicious meal or have one delivered directly to their home. 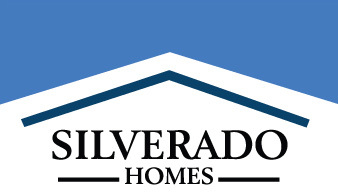 The homes at Silverado Village are very energy efficient. They surpass the California energy efficiency requirements by 18%. Every home is equipped with water conserving sinks and toilets, dual-pane windows, and programmable thermostats, ensuring quality as well as remaining eco-friendly.